Decided to go out after work and look for wildlife in the estuary that near by. Found this Great Blue Heron stalking the waters for a meal. This entry was posted in Birds, National Parks, San Francisco and tagged birds, San Francisco, Wildlife. This photo was taken last July when I was up early and wandering around the Point Bonita Lighthouse in the Marin Headlands. I didn’t see these guys when I was walking towards the old lighthouse but on my return to the parking lot, I spied these guys resting on the beach below. Urban photography is usual not my thing but I thought that this mix of nature and graffiti was pretty cool. 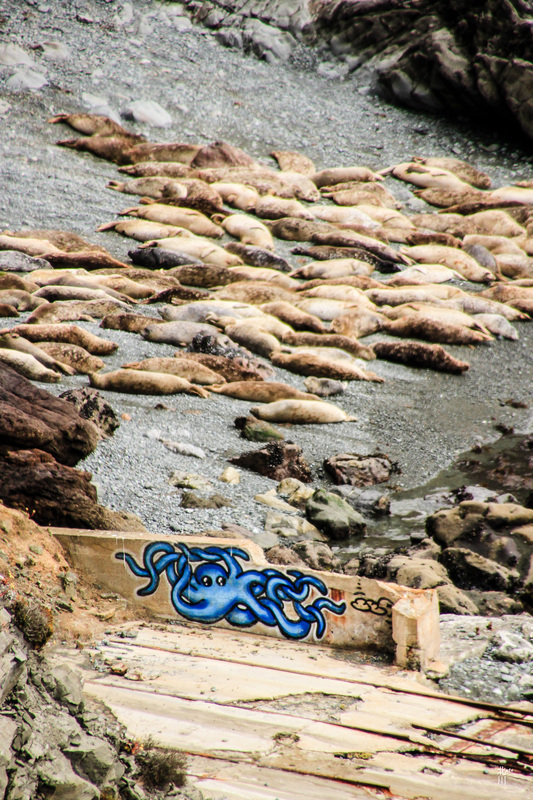 This entry was posted in Cool, San Francisco and tagged San Francisco, Wildlife. About an hour South of San Francisco, I found this beach. 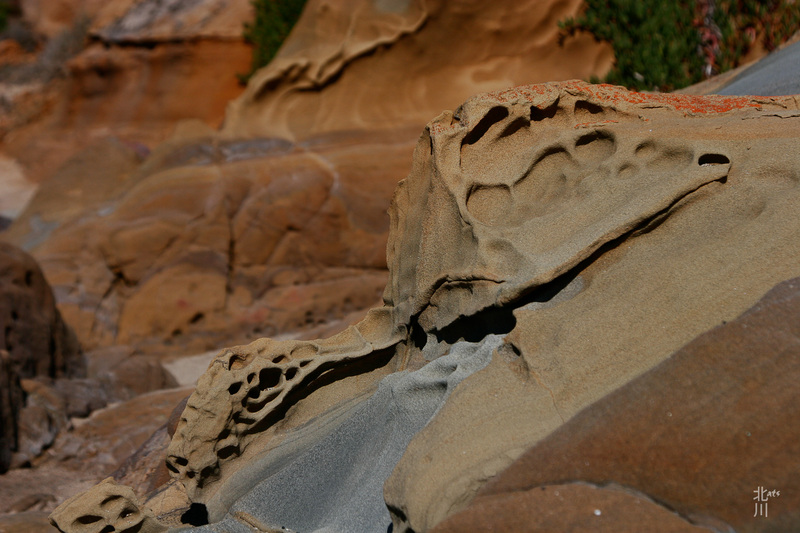 Over time the tides have made these pock marks in the rocks. This entry was posted in Cool, rocks and tagged rocks, San Francisco. Taken at along San Francisco’s Embarcadero. Cupid’s Span to the right, the Bay Bridge in the background. 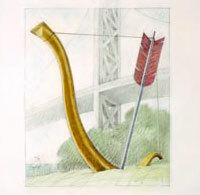 Inspired by San Francisco’s reputation as the home port of Eros, we began our project for a small park on the Embarcadero along San Francisco Bay by trying out the subject of Cupid’s stereotypical bow and arrow. The first sketches were made of the subject with the bowstring drawn back, poised on the feathers of the arrow, which pointed up to the sky. When Coosje van Bruggen found this position too stiff and literal, she suggested turning the image upside down: the arrow and the central part of the bow could be buried in the ground, and the tail feathers, usually downplayed, would be the focus of attention. That way the image became metamorphic, looking like both a ship and a tightened version of a suspension bridge, which seemed to us the perfect accompaniment to the site. 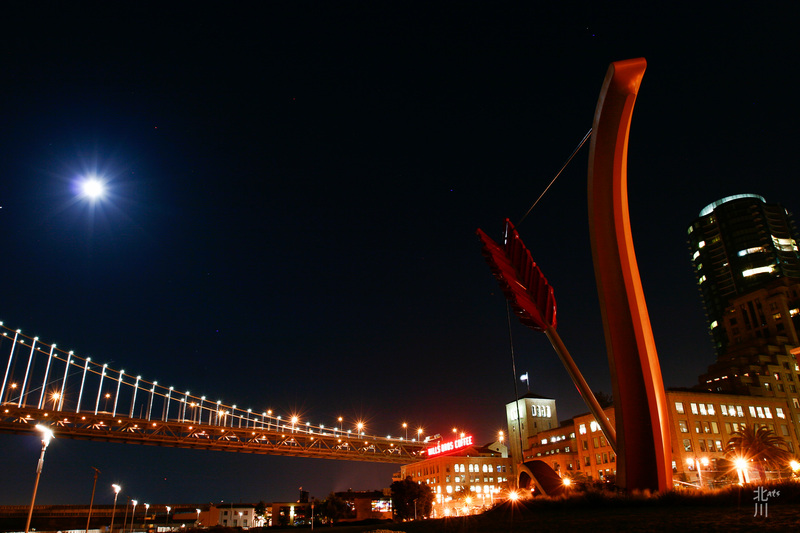 In addition, the object functioned as a frame for the highly scenic situation, enclosing — depending on where one stood — either the massed buildings of the city’s downtown or the wide vista over the water and the Bay Bridge toward the distant mountains. As a counterpoint to romantic nostalgia, we evoked the mythological account of Eros shooting his arrow into the earth to make it fertile. The sculpture was placed on a hill, where one could imagine the arrow being sunk under the surface of plants and prairie grasses. By slanting the bow’s position, Coosje added a sense of acceleration to the Cupid’s Span. Seen from its “stern,” the bow-as-boat seems to be tacking on its course toward the white tower of the city’s Ferry Building. 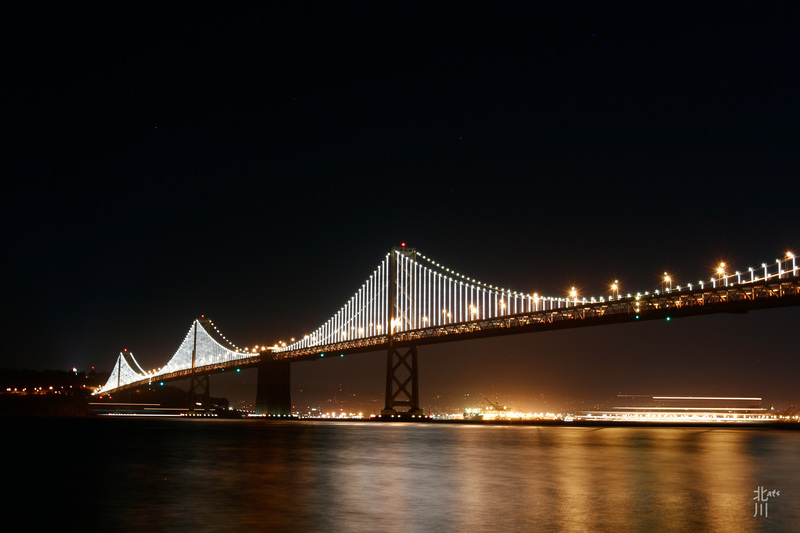 This entry was posted in Cool, Night, San Francisco and tagged cool, Night, San Francisco. 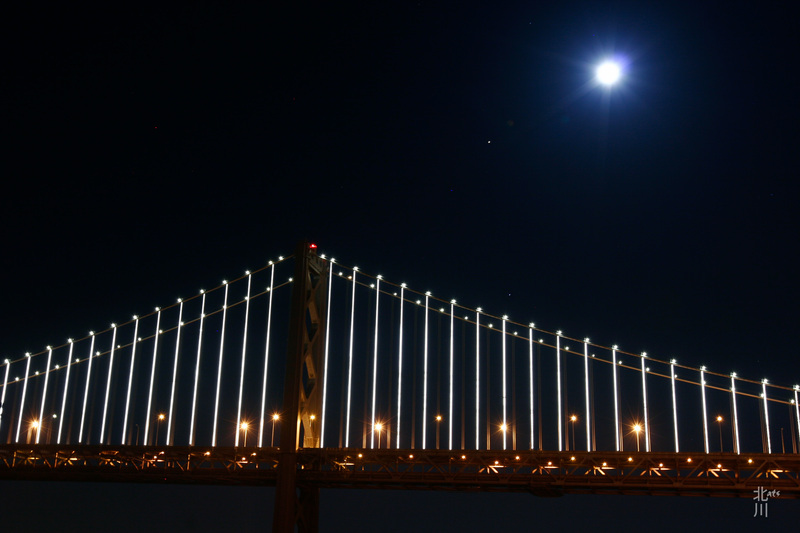 This entry was posted in Night, San Francisco, Sky and tagged Moon, Night, San Francisco, sky. Came home last night and decided to take the long way home. Drove along the Embarcadero, stopped and snapped a few night shots. This entry was posted in Cool, Night, San Francisco and tagged Night, San Francisco. 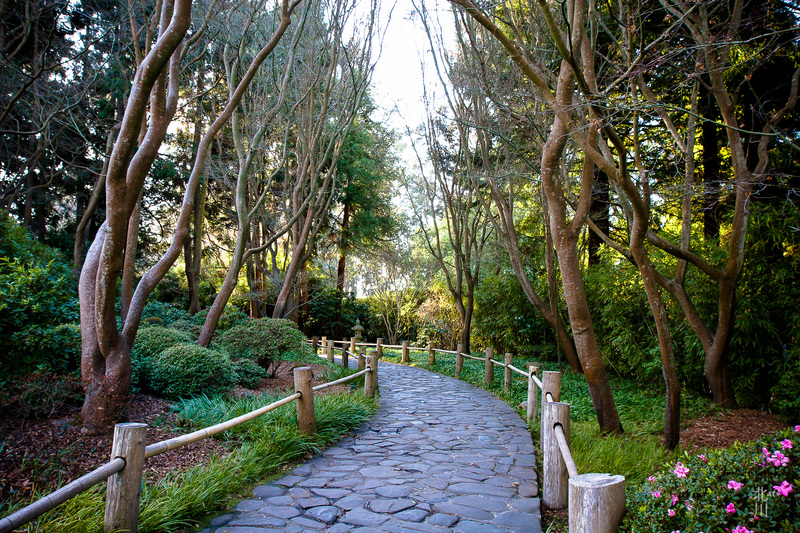 This entry was posted in San Francisco, Trees and tagged Japanese Tea Garden, Landscape, San Francisco.